Beer tanks | Large offer available from stock or custom-built. At Staes.com you can choose from a stock of stainless steel CCT fermentation tanks for beer. Upon request these CCT fermentation tanks for beer can be adjusted to your needs in our own workshop. If you prefer a custom-made tank, we will configure and produce the CCT tank or the BBT tank based upon your requirements, thus enabling you to compose the ideal fermentation or storage tanks for beer with the requested working pressure, cooling zones, diameter and height, manhole (at the top or at the side) and your preferred type of spraying ball. On several occasions Staes.com has already supplied fermentation and storage tanks to various breweries, both renowned and start-ups. 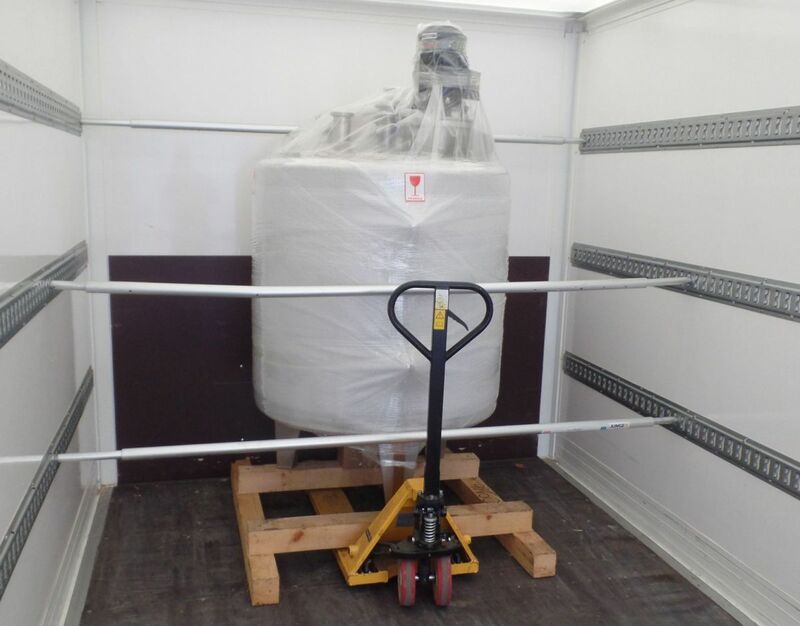 Our custom-made pressure tanks are delivered with a complete PED/CE documentation. Currently 931 tanks in stock, ready for delivery and 50 tanks in production. 200 L -	€ 325/St. 260 L -	€ 3.695/St. Pay attention: the dimension of the tank may differ from the dimensions for transport! 280 L -	€ 3.999/St. 300 L -	€ 599/St. 500 L -	€ 3.250/St. 700 L -	€ 825/St. WW9829V4N: brand new; fermentation tank; SS AISI 304 (V2A); vertical; single-jacketed; equipped with heat exchanger; 710 L; maximum density= 1.050 kg/m³; type of tank: CCT-HL. Included in the price: cip spraybol, thermometer, sample valve. In option: butterfly valve, airlock (see options). 730 L -	€ 14.995/St. WW10961V4LN: brand new; pressure tank; SS AISI 304L (V2A); vertical; single-jacketed; equipped with heat exchanger; 750 L; type of tank: CCT-ES-HL. PED 2014/68/EU, DIN EN 10028-1 and DIN EN 10028-7. 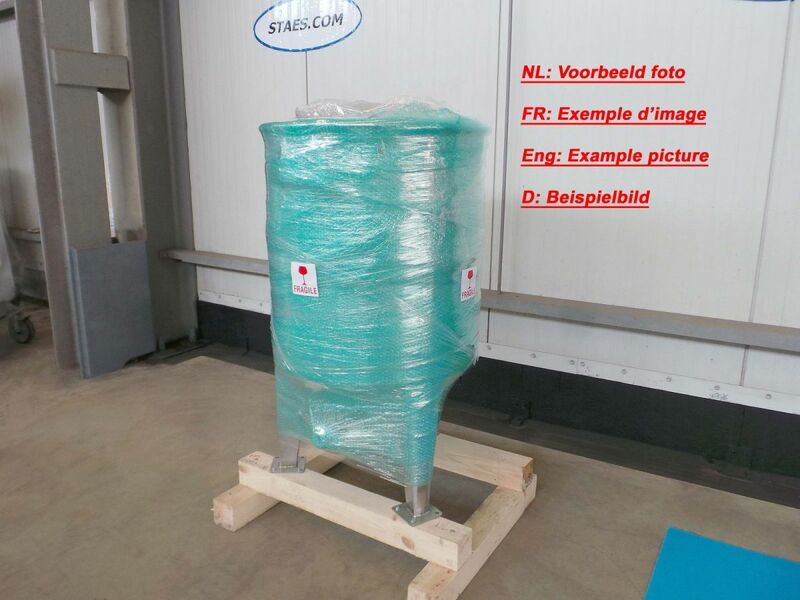 EW10803V4LN: brand new; transport tank; SS AISI 304L (V2A); vertical; single-skin; 1.000 L; maximum density= 1.200 kg/m³. This is an aseptic container. 1.000 L -	€ 5.299/St. EW11050V4: second-hand; transport tank; SS AISI 304 (V2A); vertical; single-skin; 1.000 L. Tanks have some dent, last product was margarine. 1.000 L -	€ 899/St. EW11052V4: second-hand; transport tank; SS AISI 304 (V2A); vertical; single-skin; 1.000 L. Tanks have some dents and deformations. 1.000 L -	€ 599/St. Various adjustments can be made in our workshop !